The vine and stem of Sargentodoxa cuneata (Oliv. ) Rehd. et wils of family Lardizabalaceae. Mainly in Jiangxi, Hubei, Hunan, Jiangsu provinces, etc. of China. Even stem in brownish red color and fragrant in smell. Cut into thick pieces, unprocessed. Bitter, pungent, slightly cold; large intestine and liver meridians entered. Clear heat and remove toxicity, activate blood and alleviate pain. 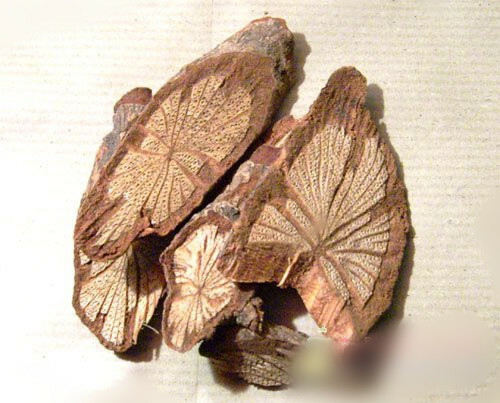 Its properties and actions are similar to that of Bai Jiang Cao; it is also regarded as an essential herb for treating intestinal abscess, and often combined with Bai Jiang Cao for mutual reinforcement. It is not as good as Bai Jiang Cao in actions of clearing heat and removing toxicity but better in activating blood. So it is much suitable for treating initial intestinal abscess, heat-toxicity accumulation with blood stasis, abdominal pain with distention and fullness, and often combined with heat-clearing and toxicity-removing, blood-activating am stasis-resolving herbs to reinforce the effects. For instance, it is used with Zi Hua Di Ding, Da Huang and Dang Gui,etc. , as in Jing Yue Quan Shu. For pulmonary abscess and dermal sores and abscess with swelling pain, it is often combined with Jin Yin Hua, Lian Qiao, and Chuan Bei Mu, etc. With the actions of activating blood and resolving stasis, and relieving swelling and alleviating pain, it is indicated for various kinds of pain caused by stasis. For traumatic injury, swollen pain due to blood stasis, it can be combined with Gu Sui Bu. Xu Duan and Chi Shao which are specialized in activating blood and healing injury. For menstrual irregularities and dysmenorrhea due to stasis, it should be combined with blood-activating and menstruation-regulating herbs, such as Dang Gui, Xiang Fu and Yi Mu Cao, etc. 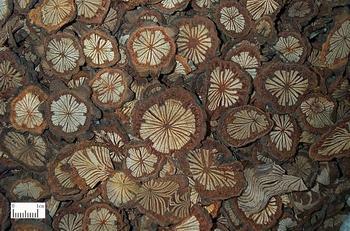 In addition, it has the actions of activating blood and relieving pain, dispelling wind and activating collaterals; it is also suitable for treating arthralgia due to wind-damp, pain of waist and legs, and difficulty in joints movement, and should be combined with Du Huo, Fang Feng and Niu Xi, etc. which are herbs for relieving wind-damp and activating blood. Decoct 9~15 g. Proper dosage is for topical application. It should be used cautiously for pregnant women.